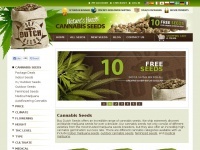 In total 19 links were found which refer to Cannabis-seeds.co.uk. The most used keywords in text links are Cannabis Seeds and Cannabis. Individual words like Seeds, Feminized, Vertigo and Feminised are frequently used in text links from other websites. The most important link sources for this website are Theweedblog.com and Hightimes.com. The homepage of Cannabis-seeds.co.uk and the subsite /paradiseseedsfeminized/vertigo-auto.html are most referenced by other websites. The table shows the most important links to Cannabis-seeds.co.uk. The table is sorted in descending order by importance. 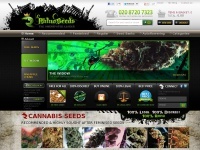 The table shows websites of Cannabis-seeds.co.uk, which are often linked by other websites and therefore they are classified as important content. The web server used by Cannabis-seeds.co.uk is located near the city of San Francisco, USA and is run by CloudFlare. 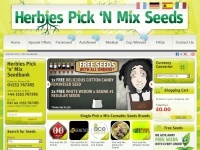 The website Cannabis-seeds.co.uk has a own web server. The web server only runs this website. 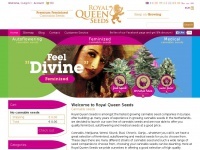 Royalqueenseeds.com - Ro­yal Queen Seeds – Buy Femini­zed Can­na­bis Seeds and ..
Cannabis-seeds-bank.co.uk - AT­TITUDE SEED­BANK Can­na­bis Seeds | Buy Marijua­na seeds ..